Henrys Auto and Trailer Sales Roanoke VA, Home of Bargains! Welcome to Henry's Auto and Trailer Sales. We are a third generation, family owned and operated dealership since 1960. For over 50 years our goal has been to deliver quality products at reasonable prices with great customer service! We offer cars, trucks, cargo trailers, dump trailers, utility trailers, equipment trailers, motorcycle trailers, gooseneck trailers, deckover trailers, car trailers, trailer parts, trailer repair, hitches, wiring, and general trailer accessories. Some of the brands that we offer are CarMate, Lark, Kaufman, TransHaul, Rays, and Hawke. 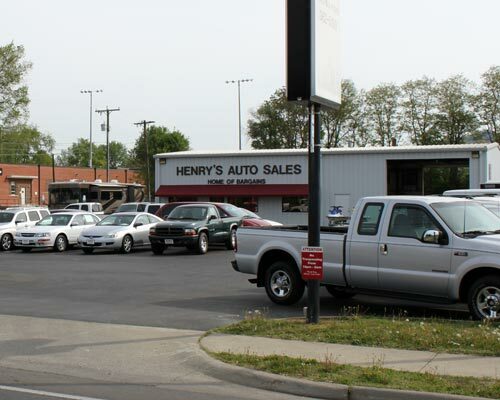 We offer a full lineup of used Trucks, Cars, and Vans.